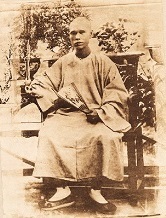 In 1873, our founder Eu Kong left his hometown of Foshan in Guangdong, Southern China to seek his fortune in Malaya. Determined to free tin mine coolies from the clutches of opium’s suffering by dispensing quality Chinese medicine and herbs, Eu Kong set up our first shop in 1879 in Gopeng, Perak. This shop was named ‘Yan Sang’, which literally means ‘caring for mankind’ in Chinese. Eu Kong’s only son, Eu Tong Sen grew up dedicating himself to the family business and to realising his father’s goal. 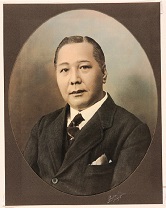 With determination and astute foresight, Eu Tong Sen established himself in Malaya and Singapore, and became a leading figure in tin mining and rubber plantation businesses by 1920s. Wherever he starts his tin mines, Eu Tong Sen would set up a medical shop to take care of his workers’ health and wellbeing. As he expands the medical shop beyond Gopeng, he decided to brand the medical business more firmly with the attachment of the family name, and his medical shops were named as Eu Yan Sang since then. From a small, homegrown business to a public company with global ambitions, our values to care for mankind remain constant and unchanging. They are as relevant today as they were in the past. This is our heritage.